He was the Rector at Colkirk, Norfolk, England.3 He lived at Fakenham, Norfolk, EnglandG. 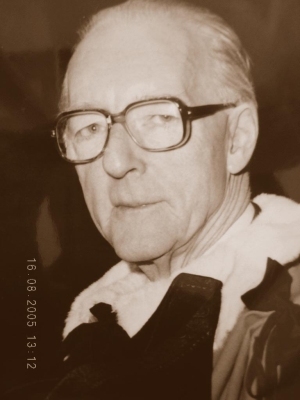 Arthur Henry Marsham Hoare was born in August 1911. He is the son of Reverend Arthur Robertson Hoare and Mabel Pensie Marsham. Gladys Mary Hoare was born on 22 June 1904. She is the daughter of Reverend Arthur Robertson Hoare and Mabel Pensie Marsham. Kathleen Margaret Hoare was born on 25 April 1908. She is the daughter of Reverend Arthur Robertson Hoare and Mabel Pensie Marsham. Her married name became Cokayne. [S4454] Julia Wigart, "re: Cokayne Family," e-mail message to Darryl Roger LUNDY (101053), 3 February 2010. Hereinafter cited as "re: Cokayne Family."